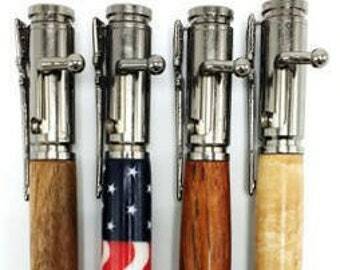 These beautiful patriotic bullet pens are made to look like a real gun showcasing off a rose tipped bullet end and a moving lever action end these pens will make your friends jealous. 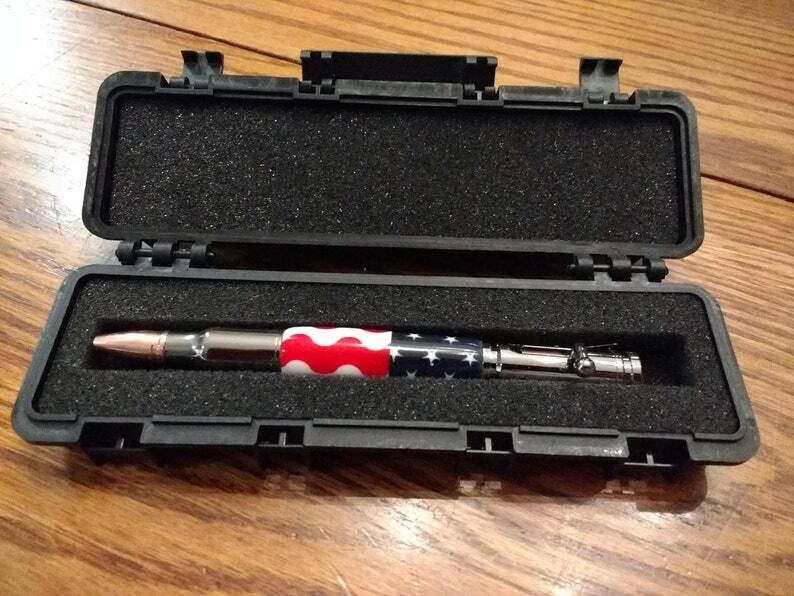 Plus put them with a realistic looking tactical gun case box and these pens are real showcase items. The pens are about 5 inches long and the ink is easy to refill(you can pick up refills from us or from office max). 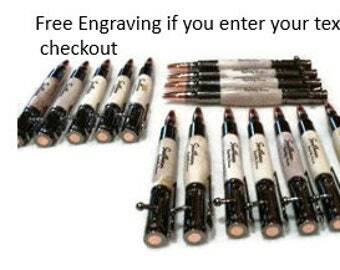 Free Engraving by sending us a conversation of the text at checkout. 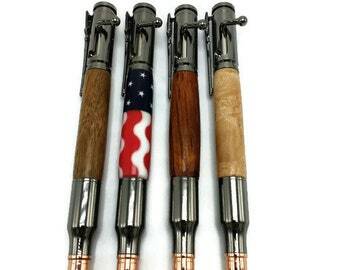 We will do our best to send this off to you in 1-3 days.